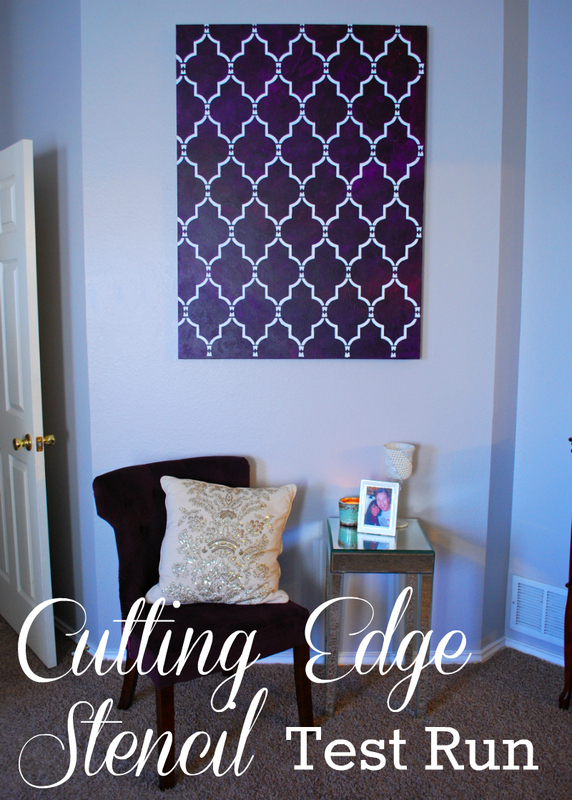 The Kurtz Corner: Cutting Edge Stencil...Test Run & Giveaway! I really love painting, but I am notorious for screwing up stencil work. I just work way too fast...aka not very patient! So, when Cutting Edge Stencil contacted me about reviewing one of their stencils I was a little nervous. Obviously, I decided to take on the challenge, but chose to play it safe for the first project. I wanted to start small so I could test out my stencil without ruining a section of a wall in my house (knowing my luck it would have been a mess). My master bedroom had a large empty wall which I had been meaning to fill with something and a large canvas which I had been meaning to paint, perfect!! 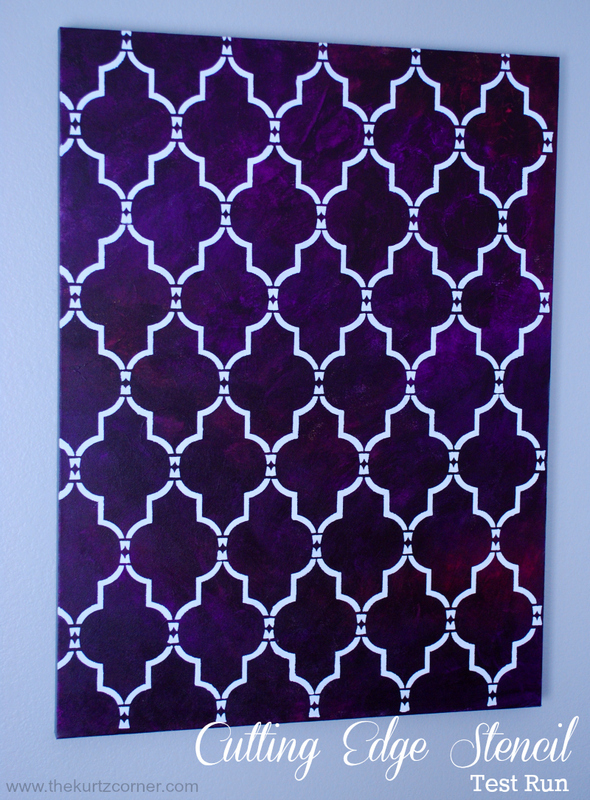 For my review, I chose the Marrakech Trellis Allover Stencil. This particular stencil comes in a short version and a long version. I chose to use the long version since I was tackling a larger surface and eventually would like to do an accent wall. The long version stencil is 24"x40" and the design itself is 21"x36". Stenciling was much easier than I expected and I am so pleased with how it turned out! My best advice to anyone attempting a stenciling project like this is to take your time and don't load up the roller with paint. If you glob on the paint it will run under the stencil edge and you will be left with a mess! I would also suggest investing in one of their dense foam rollers for your project. Here is a great how to video from Cutting Edge Stencils that will help you get started! You can find more videos from Cutting Edge Stencil here. If you are still unsure if this is your kind of project visit the Cutting Edge Stencils Blog or Facebook for some project inspiration! Win A $50 Cutting Edge Stencil Giftcard! Enter below for your chance to win! There are three mandatory entries and three extra optional entries. Open to US citizens only. The winner will be announced December 12th. Good Luck! It turned out great, I love the colors you choose! I also love the Marrakech Trellis is one of my favorites along with the missing link. I love the Nagoya Allover Stencil. I think it would look awesome in my bedroom! I like any of the nursery stencils! I love the damask stencils! i am a fan of the Rabat Allover Stencil. I am in love with the Nagoya Allover Stencil. You did great -- considering it was your first time-- I love this stencil & crossing my fingers that I win! 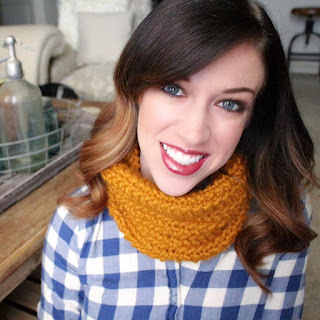 Loving your blog & thanks so much for adding it to our Southern Social! Continue to come & share! I like the Peony Allover Stencil. im so excited that they finally have a chevron stencil! thats what id like to put in my baby girls nursery! Love love love the Anna Damask stencil. I'm so glad I found this!!! I love the Zamira Allover stencil! Would be so pretty in my bathroom! I like the Fossil Shell Wall Art Stencil.